Queen of the House of Boys: Pictures...Finally! I promised awhile ago I would finally do a post with pictures because I have been so wordy lately. So here goes. This is what I used to look like. 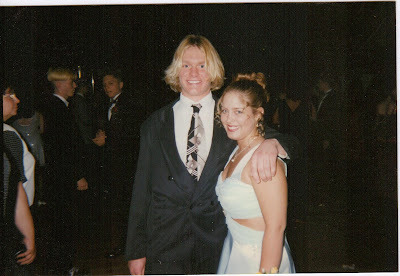 No, this wasn't my date. No, this isn't my husband. Just a friend from high school. However, I chose this picture because I like the side profile of myself. Ha! 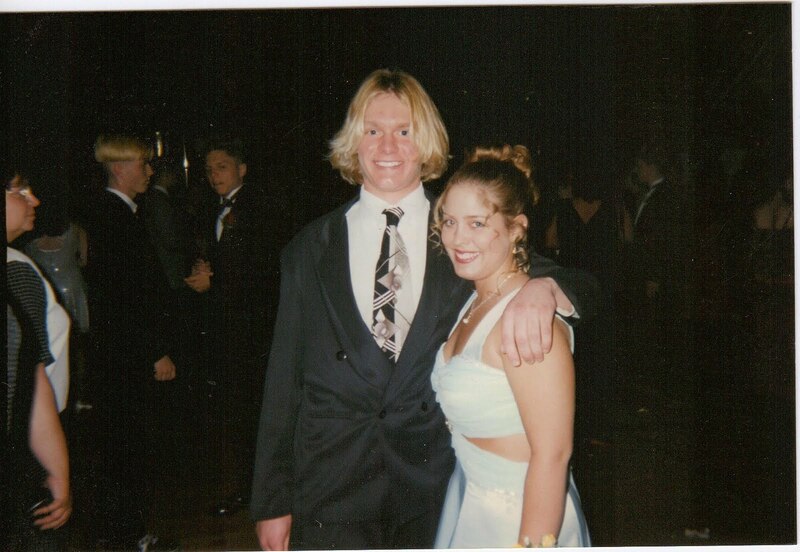 Senior year prom. 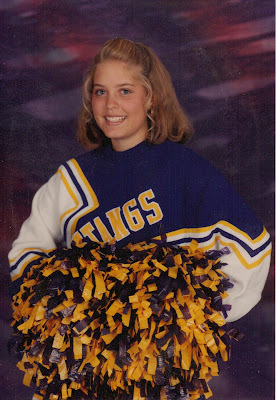 This picture is from my cheerleading day. Notice I am holding the pom poms in front of my to hide myself. I thought I was HUGE all these years! Alas, here is the new me...well the me 12.8 pounds ago. That's right! I have lost 12.8 pounds since November 2nd! Yee Haw!!! This picture is one of the final prompters for me to get movin! 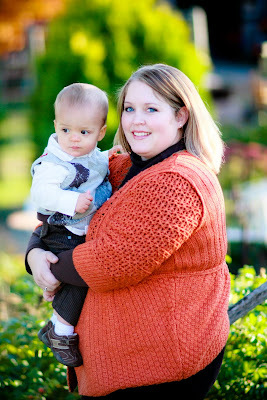 I LOVE LOVE LOVE the photos that Mckmama took for us, I however lothe the way I look in these full body shots. Granted the sweater did not help matters, but still..this really is me. Well, was me 12.8 pounds ago. I can't wait for better pictures to come! I am motivated...and hoping that I can stick with this. Started the journey at 243.8, and am now at 231. My first goal is to 220, which is what I started my pregnancy with River at. THEN...to break the 200 mark! I can't wait! For some weird reason, mybloglines" didn't notify me of any new posts of yours until today. So strange. I see lots of people's blogs this way without having to go directly to their blog. By the way, I wanted to say a couple things...When I met you at the ]Mckmama gathering, I thought, "She's very pretty." Truly. Your weight didn't make you unattractive. Secondly, I think it's awesome how open you are about this. Also, you might look at me and think I could never relate. No, I probably can't completely, but I do know what it's like to binge and eat, eating huge quantities of food just to make me "feel better," or because I was bored and not being able to lose weight and feeling that food controlled me. I was 32 pounds more than I am now. The weight isn't where we compare but the feelings are there. I hated feeling like food controlled me. I so wished for someone to help me overcome. Somehow through this crazy life I'm living with 7 kids, I manage to look at food in a much different way, but occasionally I slip back and realize I'm turning to food rather than God or a relationship. I still hide food sometimes...so no one else will eat it or know I'm going to eat it! :) But I'm making better choices...like dark chocolate covered almonds! Anyway, you are a great writer and it's fun reading your stuff. Blessings on your efforts to be healthy and well!! Thank you Christy!...and "anonymous" ;o) I really appreciate you opening up to me too. That is the reason I opened up on my blog about this. First of all, I have been hiding from it my whole lives...thinking that if I just didn't talk about it, then maybe nobody will notice I am overweight. But come on, reality hit. I had/have to do it!I hope I inspire a few people along the way. I keep telling my family that I am not doing this for them. Sure...they will benefit from me losing weight, but first and foremost I have to do it for me. This has to be my thing! Thanks again! 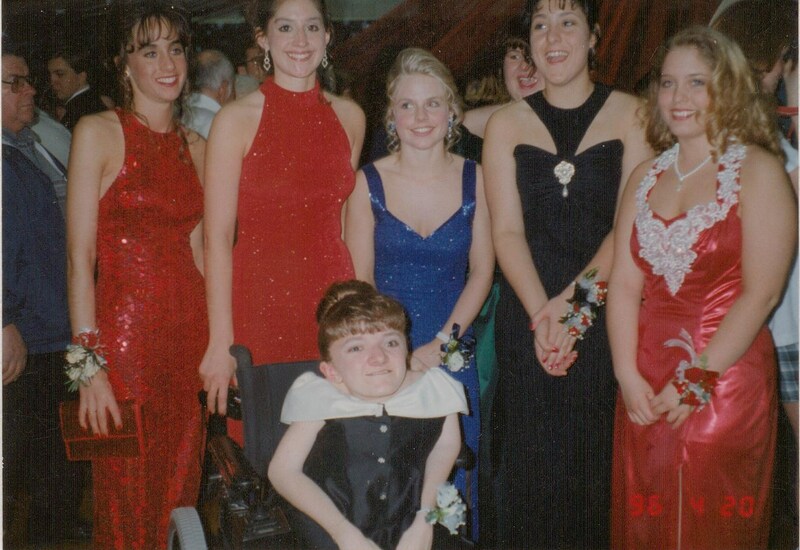 Hi - just wanted to say that you were and ARE a beautiful woman. I've spent my life on the other side of the weight issue. I was very thin when I was growing up - I was teased and called bean pole, skinny minnie - you name it. When I was in my 30s, anorexia came into the public consciousness and I was constantly accused of being anorexic. There will always be people who judge others and find a way to belittle them. The only thing that matters is how you feel about yourself -I know that's a cliche but it's true. I hope you achieve the weight that makes you feel comfortable. Sounds like you are making a great start!